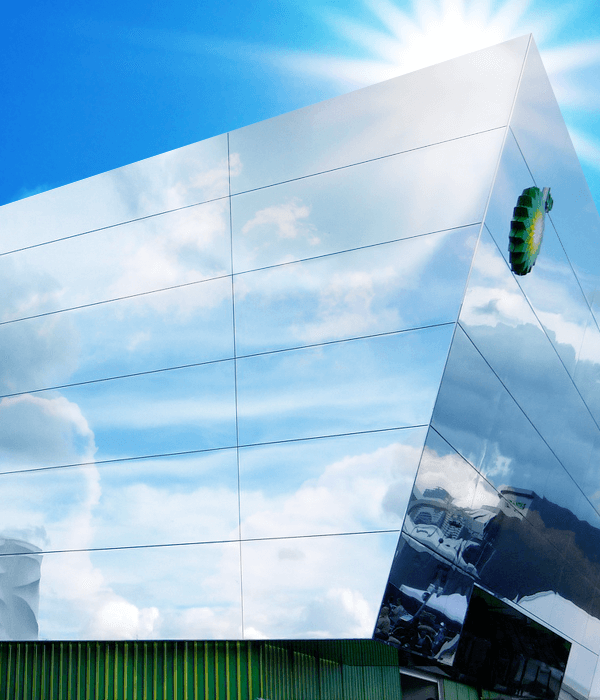 Rainscreen Support Systems that are safe, economic and effective. 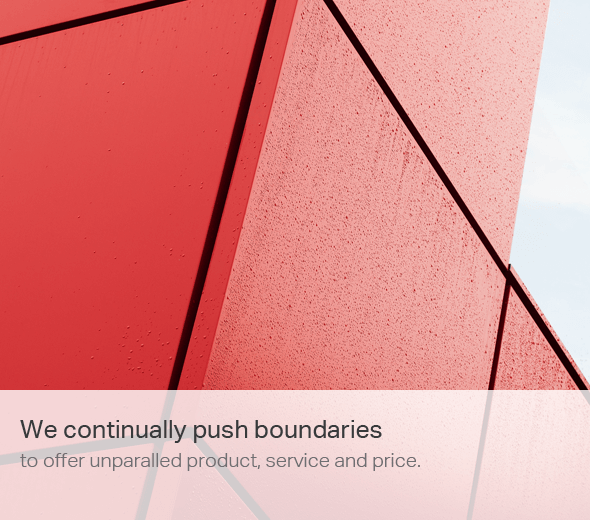 We are experienced innovators, delivering pragmatic solutions in façade and rainscreen façade support systems, since the 1980s. 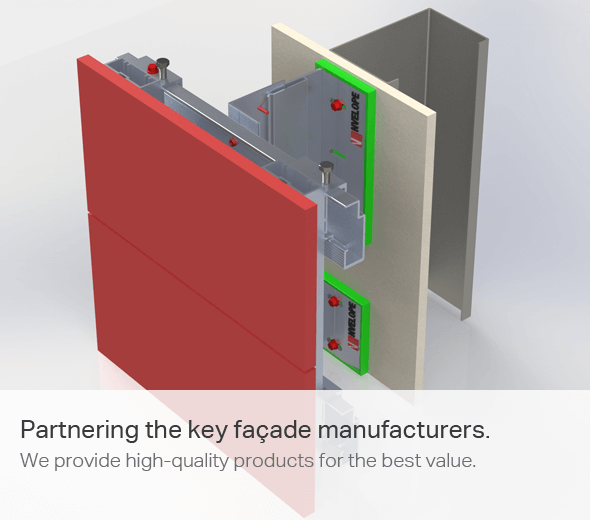 Partnering the key façade manufacturers, we provide high-quality products for the best value. 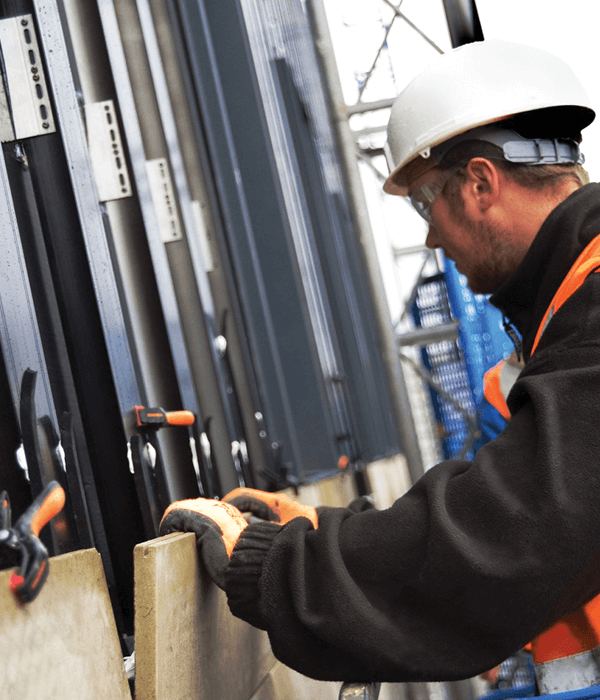 We offer rail length optimisation (off site, cut to length) and split boxes to supply precise numbers of brackets required, when they are required. 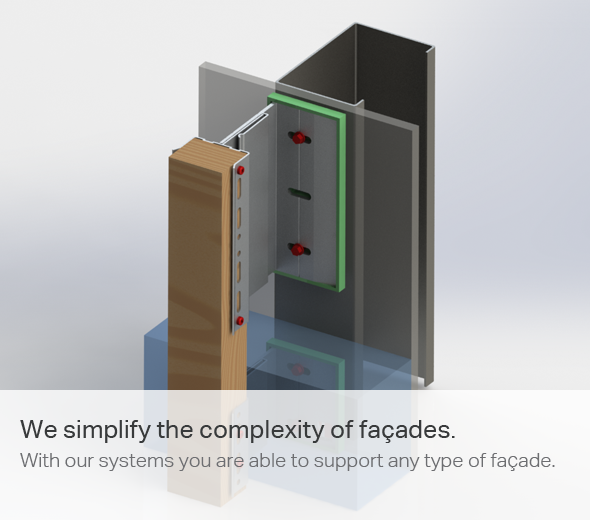 We simplify the complexity of façade and are able to support almost any genre. Our installer-friendly systems are tried and tested. 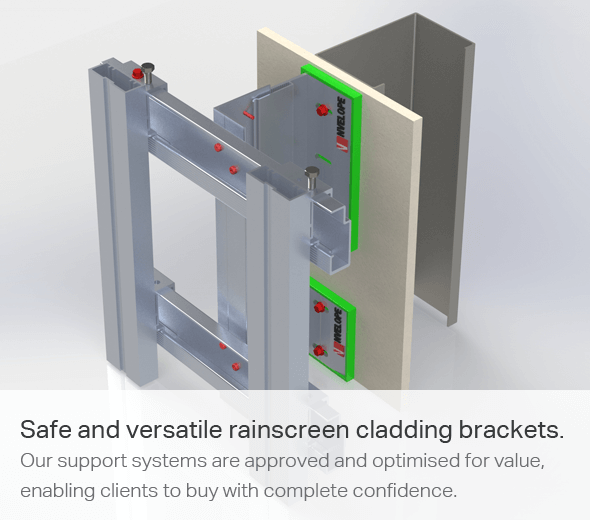 Our safe and versatile rainscreen cladding brackets and support systems are approved and optimised for value, enabling clients to buy with complete confidence. Ahead of the curve, we listen to our architectural, engineering and façade installation partners – anticipating 'what next' and delivering safe and practical solutions. Anodisation and Polyester Powder Coating are available for both brackets and rails. Now exporting to three continents, our reach is far and impactful. 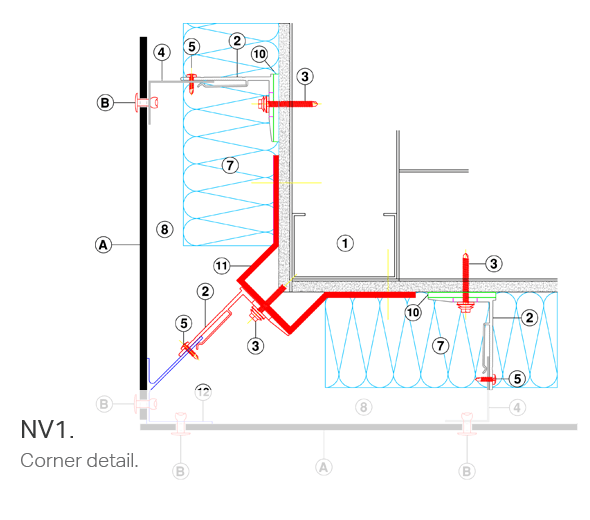 Nvelope content is BIM level 2 compliant. 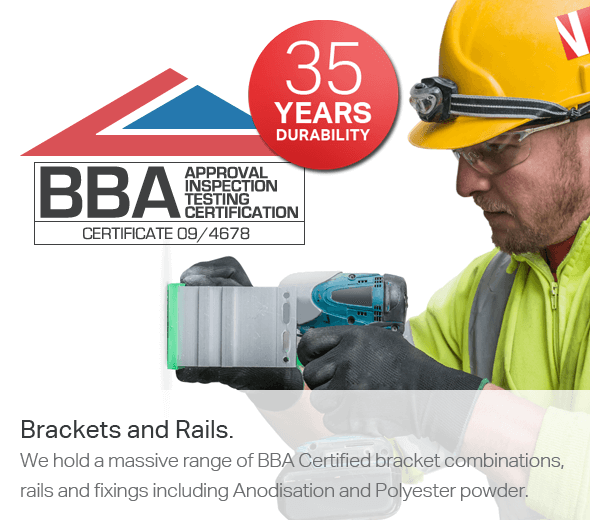 Aluminium Brackets and Rails – Fire Safety Information. 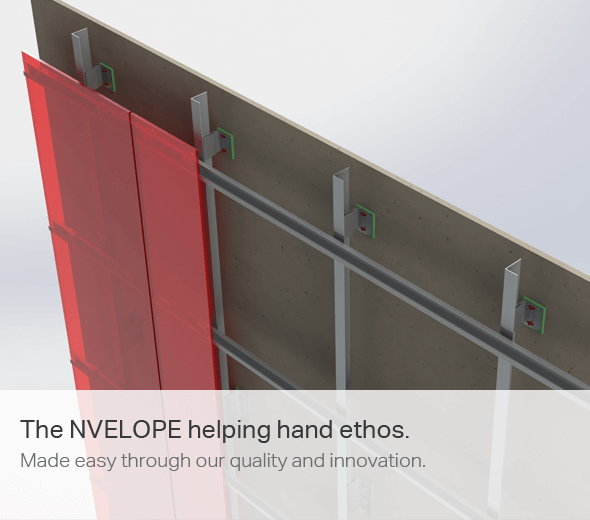 NVELOPE rainscreen cladding support brackets and rails are made of non-combustible, sustainable aluminium, which does not burn. 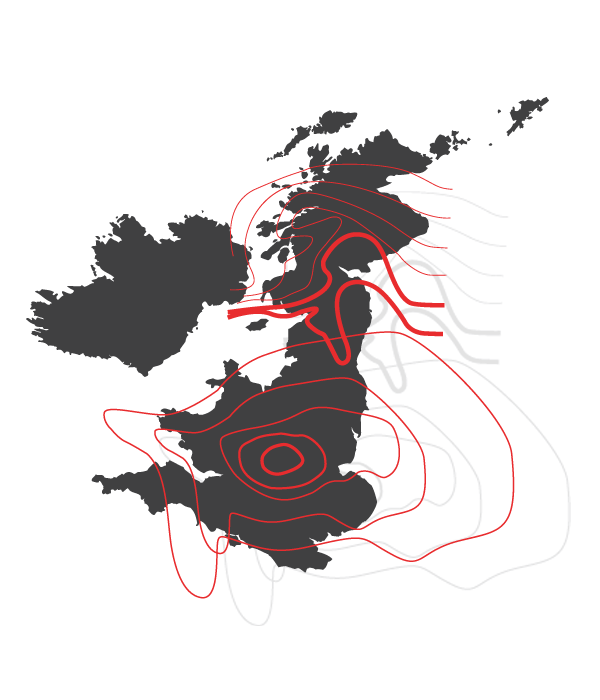 Behaviour in relation to fire — in respect of reaction to fire, the systems may be regarded as having a class 0 or ‘low risk’ surface in accordance with the national Building Regulations (see section 7). 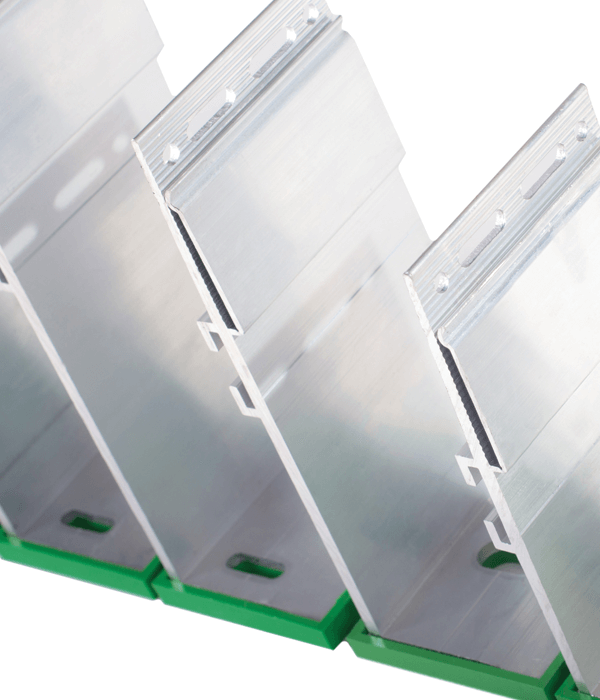 Our Aluminium Bracket and rails have a fire rating of A1 – Non combustible and offers no contribution to fire. Select which brackets you need by using our online project builder or by using our product tables. Static calculations, price / m2 rates and more... 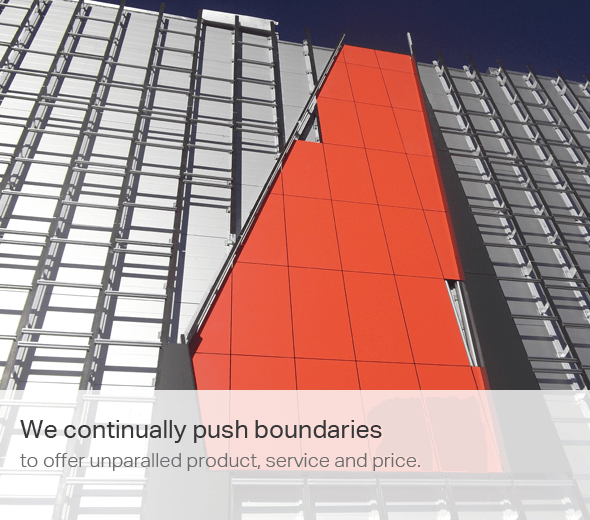 Specify a project specific external cladding solution. 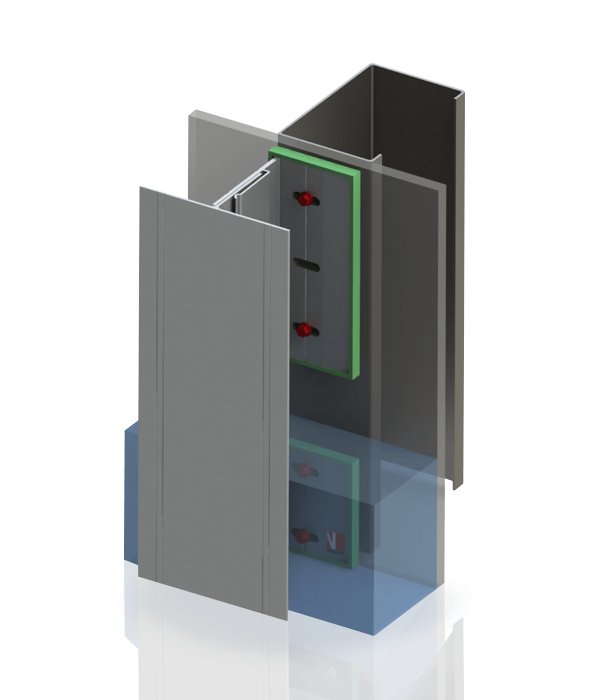 Rainscreen cladding support systems suitable for the most demanding exterior cladding materials. 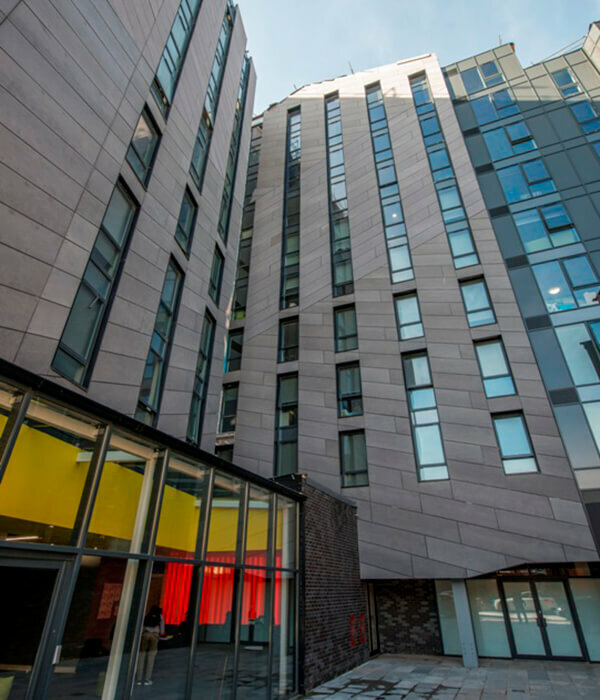 NVELOPE are proud of the rainscreen cladding projects that we have been involved with. 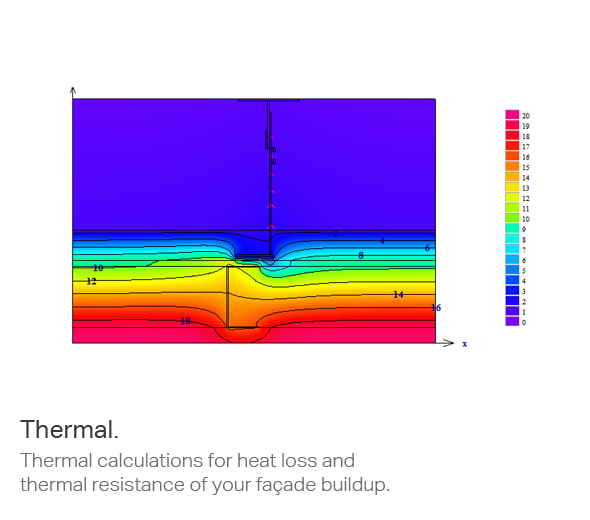 NVELOPE rainscreen systems understand and empathise with the modern architect. Our technical department is always here to help. Our support staff are always available and able to assist with current stock availability, price and technical information. 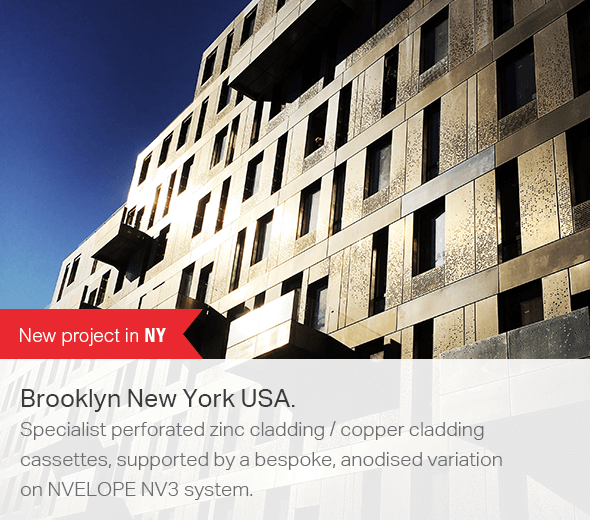 NVELOPE design and manufactures an 'off the shelf' range of aluminium brackets, rails and systems for vertical and horizontal cladding applications. 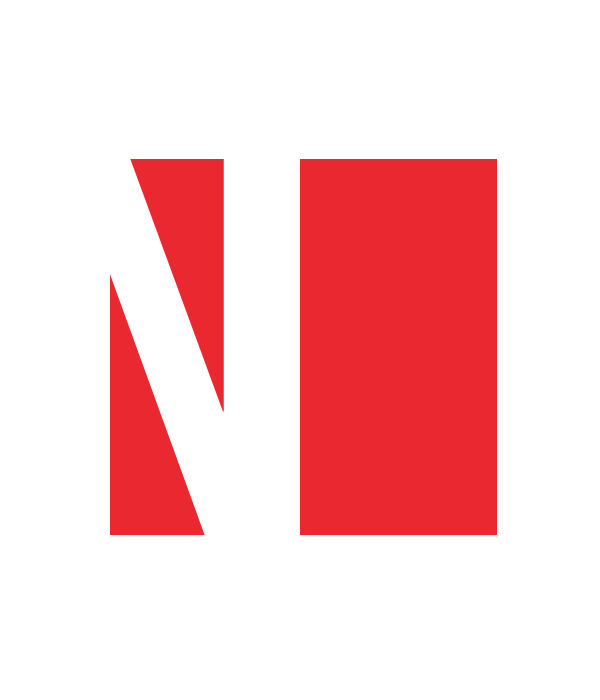 Keep up to date with the latest cladding industry trends, news and website updates from NVELOPE... Sign up is simple, fill in your details below.